What Is Quantum Healing Hypnosis Technique SM (QHHT®) and Who Created It? QHHT® is a modality created, developed and perfected by Dolores Cannon. Dolores was a past life regressionist, and hypnotherapist, who spent over 4 decades with thousands and thousands of clients in her QHHT sessions. She discovered through her technique, she could assist the client to the deepest trance level of hypnosis. Consciousness, Oversoul, Super Consciousness, however, Dolores called it the Sub Conscious. We now refer to it as the SC. Also, at this deep level of hypnosis, there is the opportunity for the SC to answer questions and heal the client. Since the SC is the all-knowing part of the client, it is the client who is healing him or herself. Dolores considered herself the researcher, investigator, and reporter, of lost knowledge. This lost knowledge was given to her through the sessions and she shared it in her books, presentations (live and in video format), and interviews. Barbara received her first QHHT® session and experienced a miraculous healing of her thyroid. 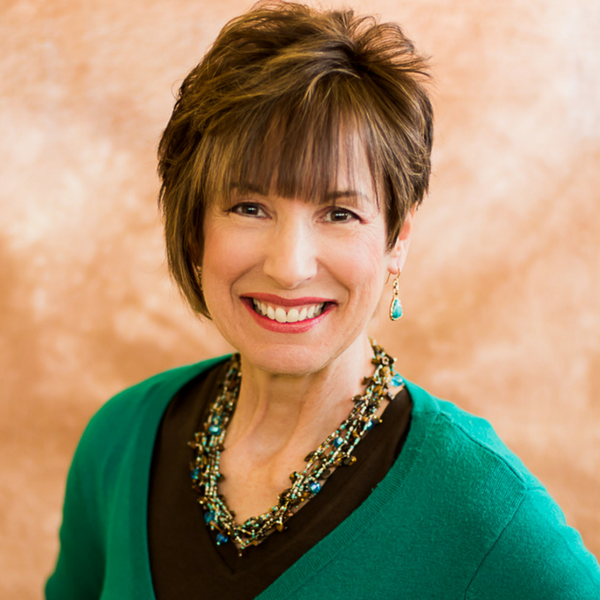 When she became certified as a QHHT® practitioner, she began witnessing healings and transformations during the client sessions. 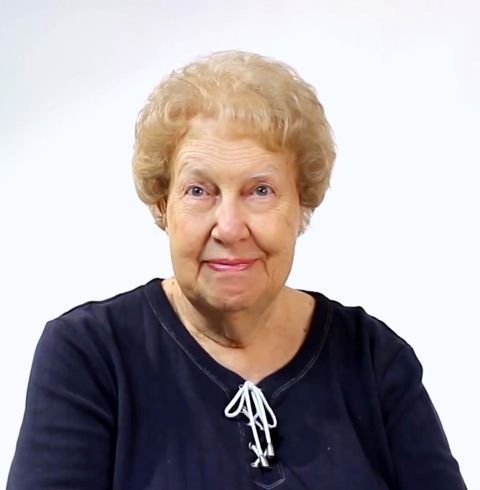 Barbara was trained by Dolores Cannon via the online course, and has a Level 2 certificate. She actively participates in the Quantum Healers support forum where continuing education is provided daily. You can read session stories on her blog in the “QHHT Session Stories” category. Barbara is a member of Quantum Healers.com. You can click on the image to review Barbara’s directory listing. Before your session, write down 10-15 questions you have of your Higher Self. Place a space between the questions. This is where Barbara will take notes while you’re in hypnosis. You don’t need to write the backstory of each question because Barbara will discuss each of them with you. You can write your questions by hand or type them on your computer and print them out. You don’t need to send them to Barbara ahead of time. If you have problems with your printer, just let Barbara know and she’ll help you. What is my life purpose? Why am I here? Where did I come from? Job/career changes, Am I on the right path? Residential: Where is the best place for me to live where I can thrive in prosperity and be of service to humanity? Experiences in your childhood, teenage years, early adulthood that have not been explained. What was that all about? Traumatic or spiritual experiences, anxieties, fears, doubts, etc. In the days before your session, for 5 minutes a day, lay on your bed with your eyes closed. Focus on your breathing. Watching the air go in your lungs and out of your lungs. Notice any tension in your body. If you find tension, imagine the tension melting away like butter in the sun, easily and effortlessly. Allow your body to relax even further with each exhalation. You can choose to do the relaxation exercise in the morning, afternoon or evening. You can even mix it up: morning one day, evening the next, for example. If you can go longer than 5 minutes, that’s fine. This practice, for at least 5 minutes a day, will help you relax during your session and help to ensure a productive trance. Please take only medication or herbal supplements that you regularly consume. Do not take any sleeping aids or mind-altering substances, or drink alcohol the night before or morning of your session. If you normally take a sleeping agent each night, please do so. Do not wear perfume, cologne or burn incense the day of your session. It’s okay to wear deodorant and hair products. Please wear very comfortable clothes. You will be lying on a bed or recliner, in a quiet, cool room, with a light blanket during the hypnosis. We will ensure that any restroom needs are taken care of before the hypnosis. Eat your usual breakfast. If you drink coffee or tea with breakfast, please do so. Please don’t start fasting or juicing the days before or the morning of your session. We want you to be in your natural routine because QHHT® is a natural modality. We will spend a couple of hours or so, prior to the hypnosis to ensure that Barbara has a full understanding of the intent of your questions and concerns. Our goal is to have all of your life purpose, emotional happiness, and physical health questions answered in a single session. Upon hypnosis, your Higher Self is in charge and will ensure that you are shown all, and only information, which is helpful for your intent. During your session you will be shown an appropriate past life experience by your Higher Self. Your Higher Self knows everything there is to know about you, the life you are living now, and all past lives. Your Higher Self will share only information that is appropriate at this time and is of benefit to you. It is caring and protective of you in the QHHT® session. Your Higher Self has the ability to identify any physical or emotional problems it detects and explain the causes, be they from your current or past life. The Higher Self is then asked if it is appropriate for healing to occur. If appropriate, healing is done instantaneously with no other processes. Very often, simply understanding why discomfort is being experienced is sufficient for it to be relieved and removed. You will be in the hypnotic state for 90 minutes or so. Healing can only occur if you want to be healed and you do not interfere with your goals for this lifetime. Remarkable healing has occurred with QHHT®. Nothing is beyond the realm of possibility. Immediately after exiting the hypnotic state, you will awake refreshed and energized. You may have a strong urge to go to the restroom; we will take time for your physical needs. It is important to eat and drink immediately after the session. This helps to ground and center your mind and body. While you’re eating, Barbara will begin the debriefing. She will go over the highlights of your session and give you a handout for the aftercare of the session. This may take 30-45 minutes or so. You may not remember much of what was said, or perhaps bits and pieces. You will be given a recording of your hypnosis session. Please listen to the whole recording, in privacy. After listening fully, you are then free to share with whomever you choose. Please keep your recording safe. You’ll want to make extra copies for yourself. It is recommended you not plan on shopping, dancing or partying after your session. This is the time to process and allow the integration of the healing and insights to occur. Be gentle with yourself. As you listen to your recording repeatedly, you’ll receive more healing and more insights and downloads from your Higher Self. QHHT® is a gift that keeps on giving. QHHT session fee is payable by cash (US currency) or valid credit card transaction at the beginning of your session. Barbara does not accept personal checks, cashier checks, traveler’s checks, money orders, promissory notes, e-currency, or foreign currency. Please note all QHHT® sales are final and processed through Barbara Becker Healing, LLC. All transactions are processed on a secure server to ensure your privacy and the safety of your financial information. 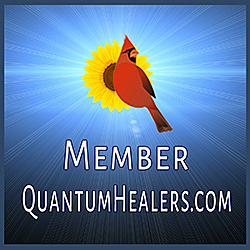 Please click on the bird to view Barbara’s directory listing with Quantum Healers. Barbara Becker Healing | All Rights Reserved © 2011 - 2019 | Reproduction Without Authorization Is Prohibited... * DISCLAIMER: Star Energy Healing is not intended to diagnose or cure any specific condition. We make absolutely no claims of a cure for any disease. Individual results may vary. Star Energy Healing does not require FDA approval. The client testimonials we have received are based on the unique experiences and circumstances. We cannot promise that you will experience similar benefits from using our services. The generally expected performance of The Star Energy Healing in regards to any specific disease has not been scientifically validated and we cannot and will not make any promises in regards to any miracle cures.